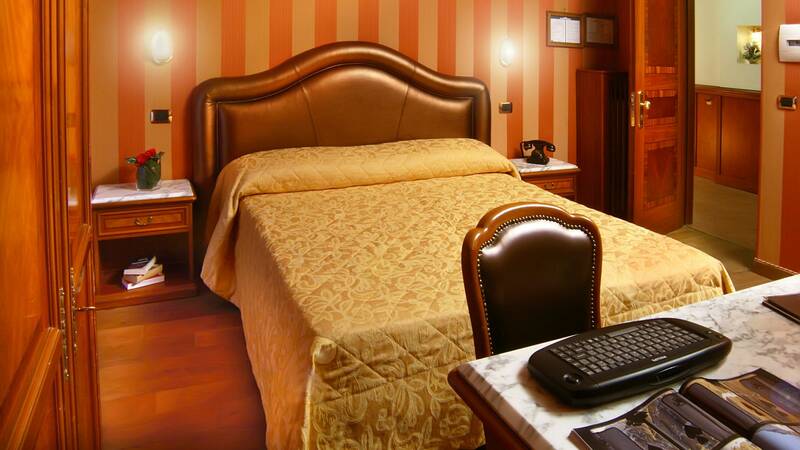 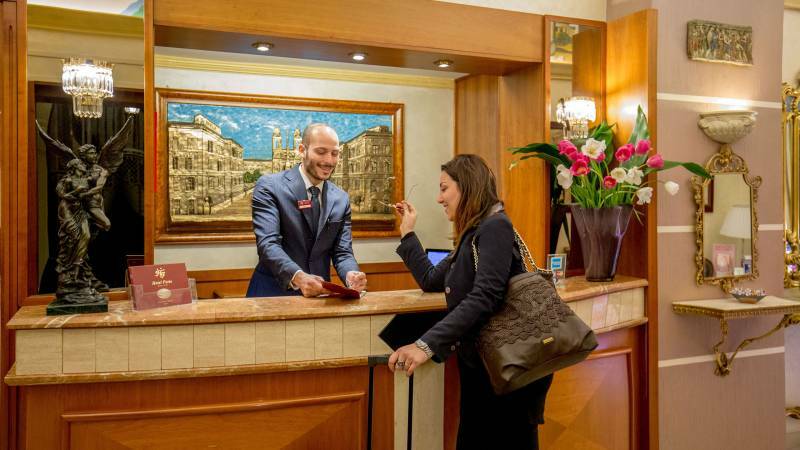 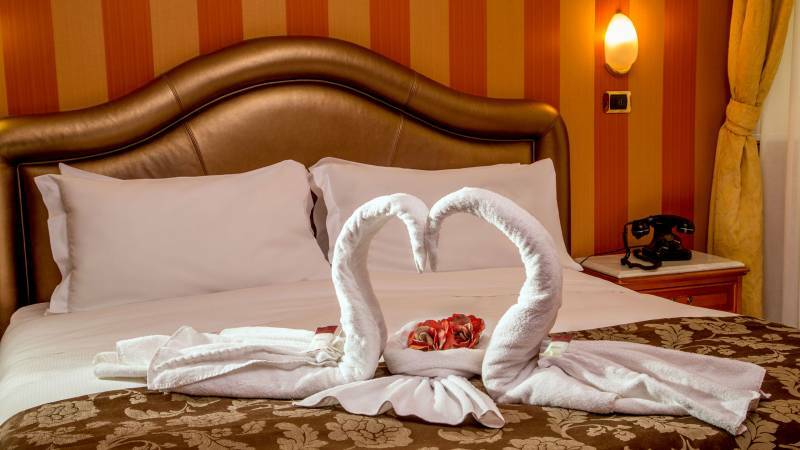 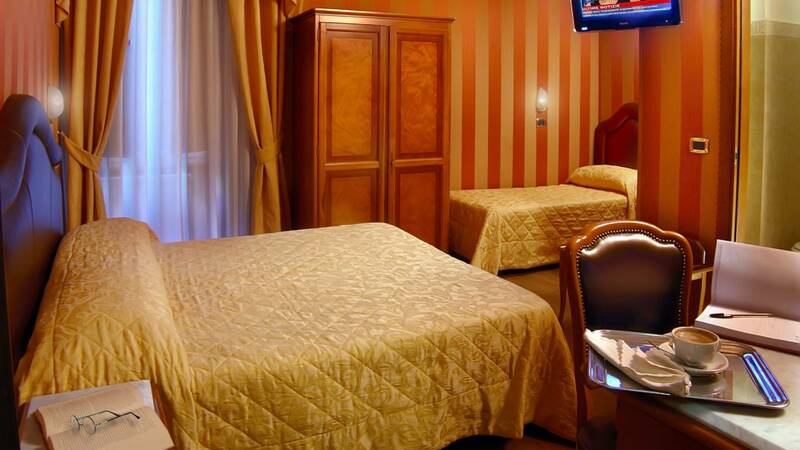 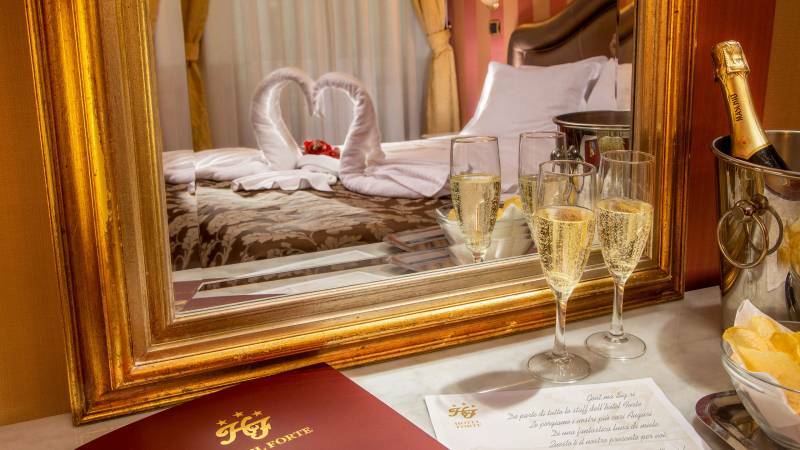 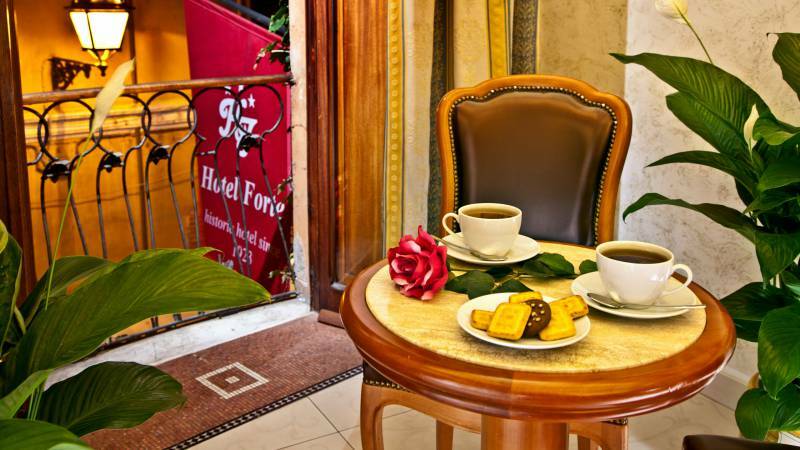 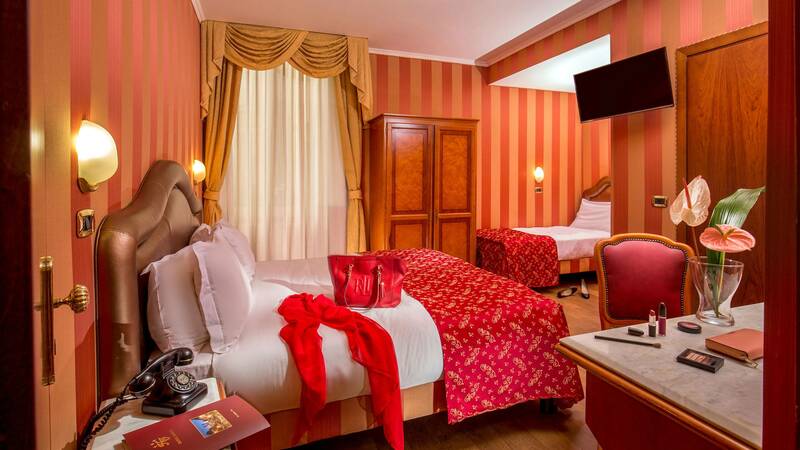 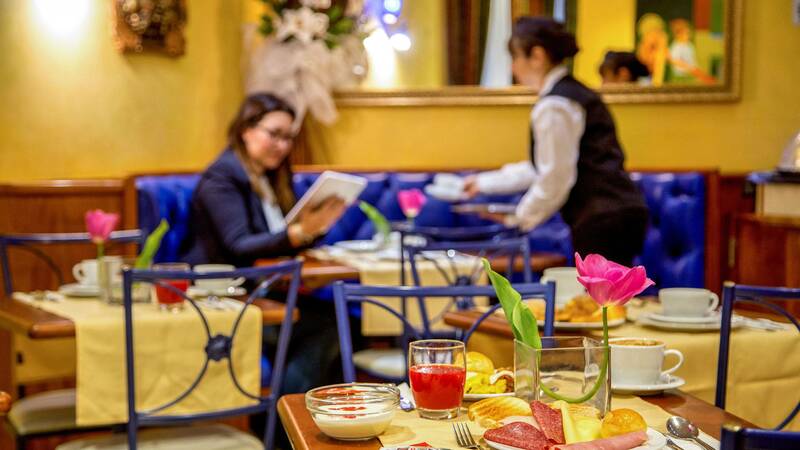 In the splendid and picturesque setting of Via Margutta, a short distance from Piazza del Popolo, Villa Borghese and the boutiques of Via del Corso and Via dei Condotti, in the heart of the Campo Marzio District, at Hotel Forte you will experience Rome in complete relaxation, surrounded by beauty. 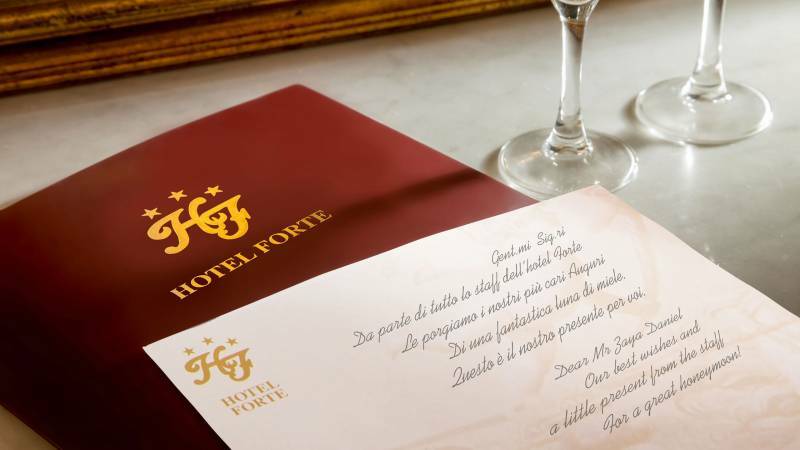 Hotel Forte is an homage to elegance and hospitality. 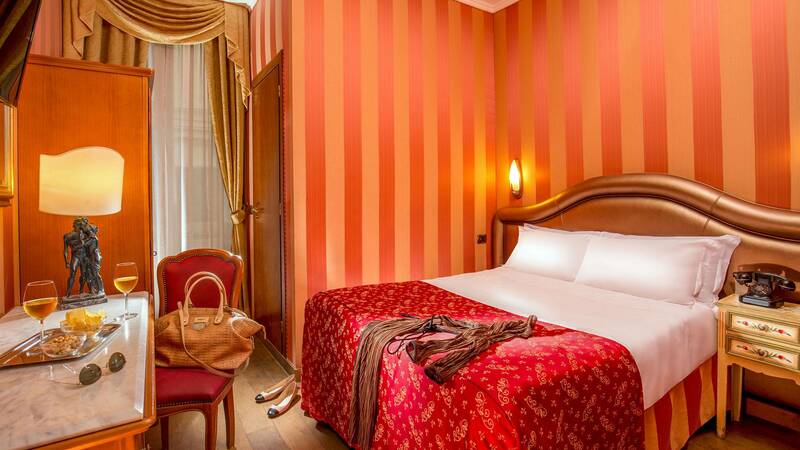 With its magnificent frescoed lobby, the work of local artists, it is the perfect union between the historic characters of Via Margutta and Palazzo Alibert, in which it is located, and a modern Hotel. 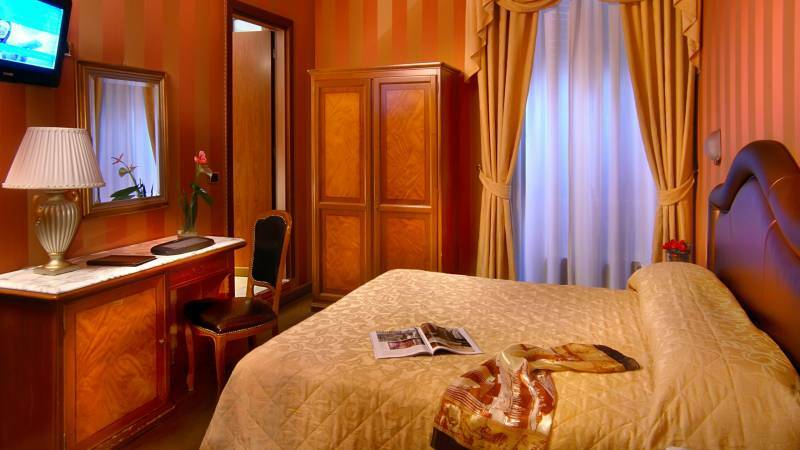 A perfect equilibrium between functionality and tradition run through by a single thread, which can be seen in the recurrence of Pompeian red and gold in the decor and the furniture (the traditional hues of Imperial Rome); of paintings and frescoes representing the great works of art by renowned artists; and of typically Roman late-baroque accents, recognizable in the use of exotic motifs. 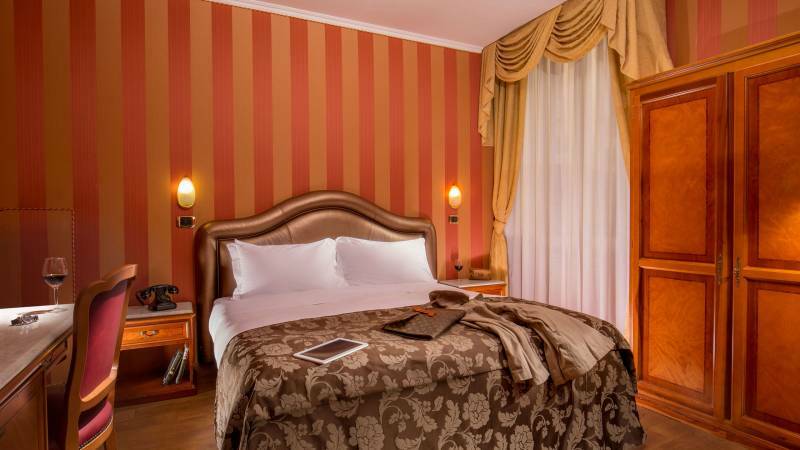 The 18th century heritage of Palazzo Alibert tastefully meets luxurious interior design producing a perfect harmony between the classical and the modern, which will accompany you through refined spaces where tradition is respected and reinterpreted in an original and personal way. 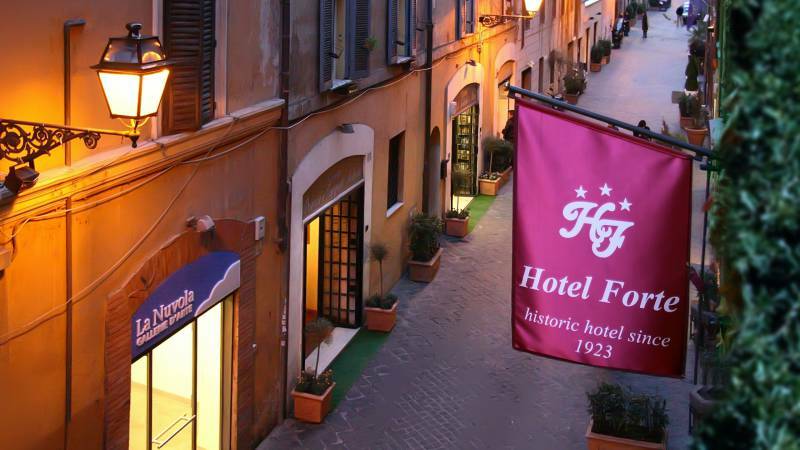 Hotel Forte is part of the Historical Hotel Circuit, in the framework of the “Roma Trasparente” Project of the Italian Ministry of Cultural Heritage and Activities. 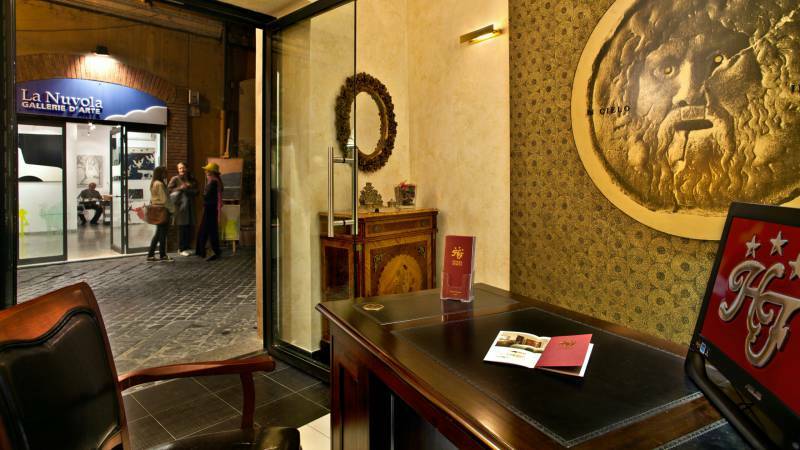 The Circuit is outlined in information boards listing the 64 Historical Buildings of the Capital that currently house hotels. 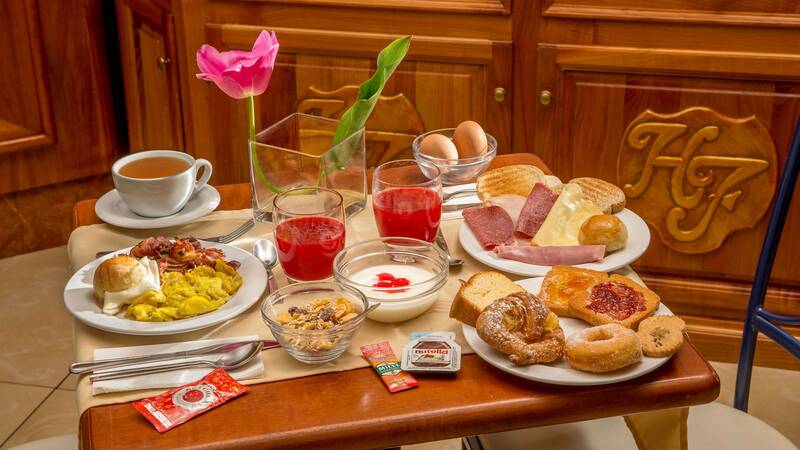 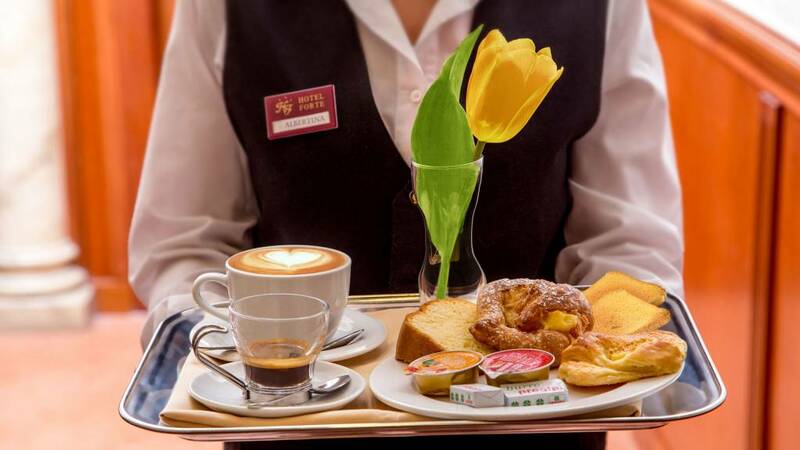 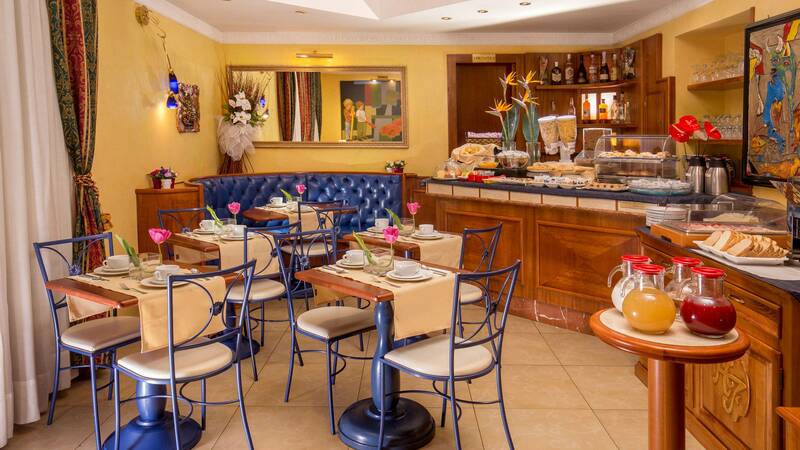 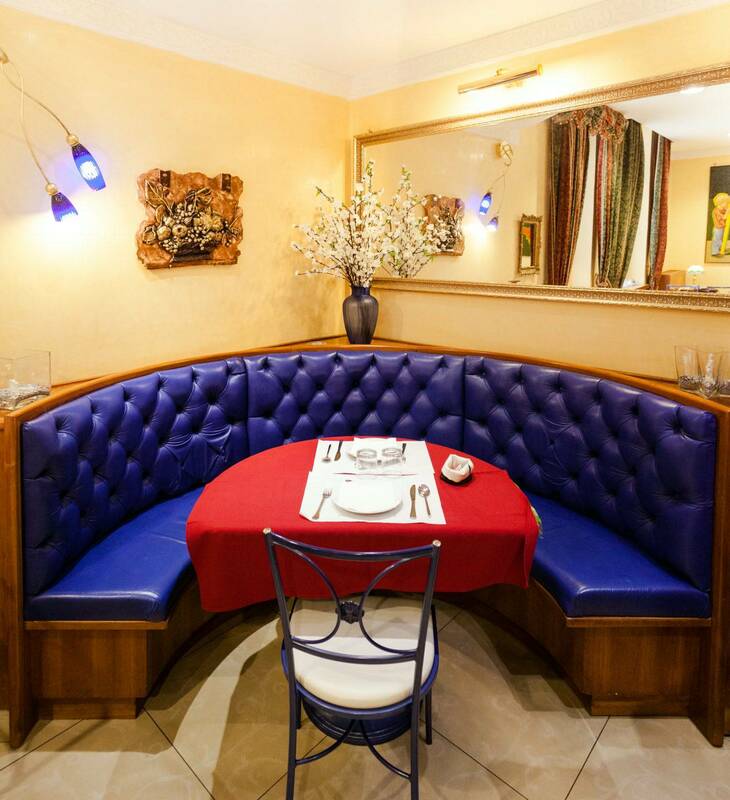 to ensure our guests a satisfying rest in a charming environment. 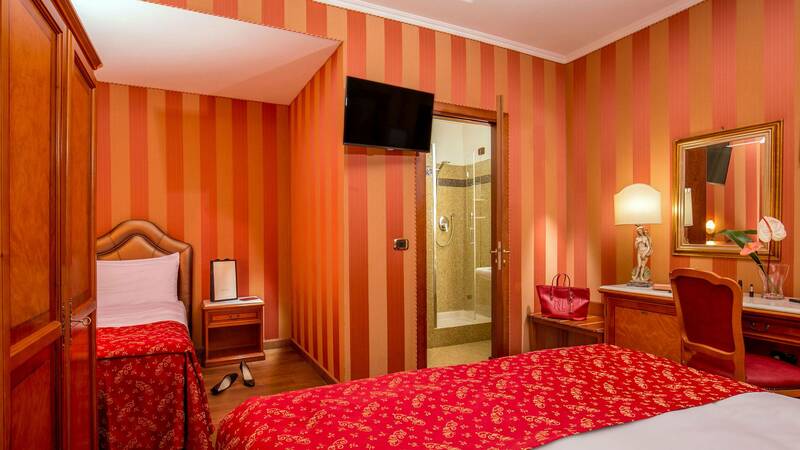 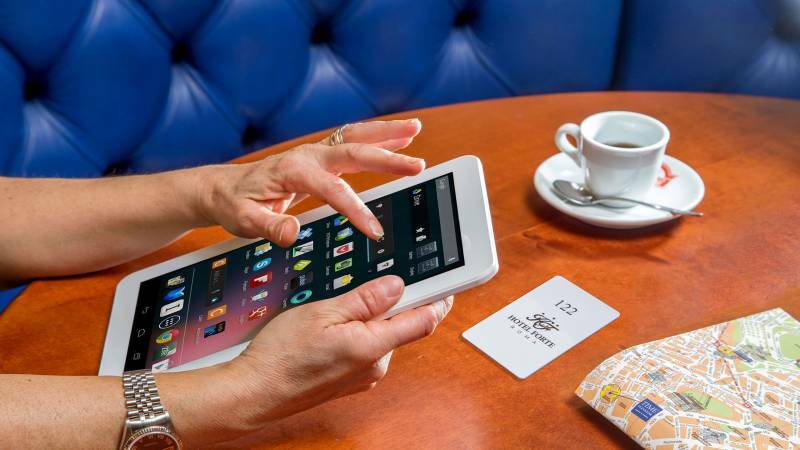 blend with the amenities and services of a modern three-star hotel. 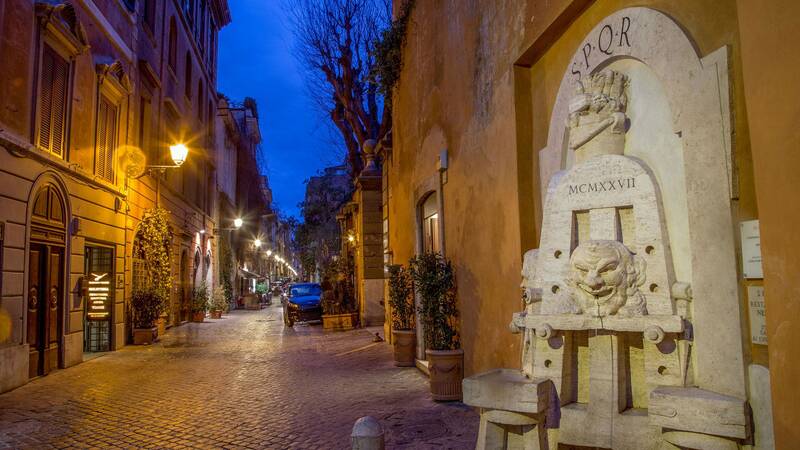 Via Margutta, a colourful street of artists who reside there for hundreds of years, of Galleries and of the capital’s most beautiful Art Exhibitions, remains peaceful and quiet, immersed in a seductive romantic atmosphere. 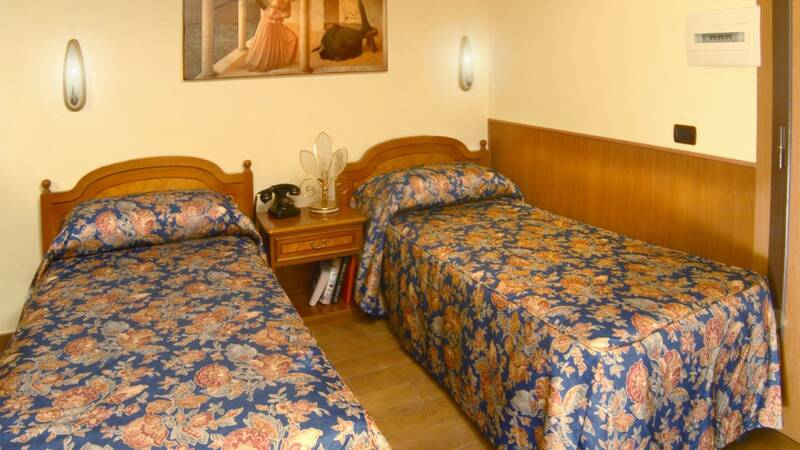 At the same time, it is located right in the centre of Rome, next to the city’s most famous high-end shopping streets, in a neighbourhood that is exceptionally rich in monuments, basilicas and tourist attractions, including Piazza Navona, the Trevi Fountain, the Pantheon and the Imperial Fori, which can be reached with a pleasant walk through Rome’s alleyways.